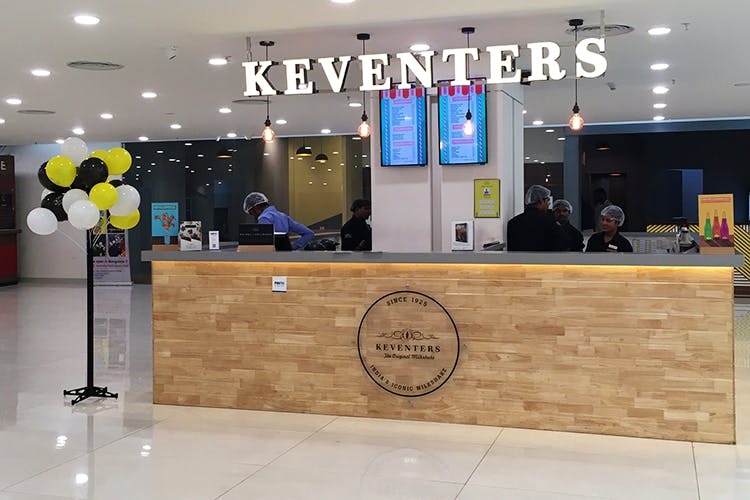 Taking over the city, one sweet spot at a time, everyone’s favourite milkshake bar, Keventers, is now at Whitefield as well. Milkshakin since 1925, Keventers has yet another kiosk in the city that’s serving up some sweet shakes. Just about a month old, Whitefield’s Park Square has their very own franchise of the iconic milkshake bar. Serving all the crowd favourites like their Strawberry Fields and Chocolate Hazelnut Thick Shakes, channel your inner Jughead head and sip on some Riverdale worthy milkshakes at their new address. With Classic Shakes like their Butterscotch and Cold Coffee shakes, and Fruity Shakes like their Luscious Blueberry and Alphonso Mango also on the list, get you straws ready to sip on this deliciousness out of their trademark glass milk bottles. Plus, they also do a sugar free version of their cold coffee too!